If you’re not quite hungry enough to tackle the 8 or 11 ounce sirloins, the seven ounce top sirloin may just be the steak for you. Don’t let the small size fool you, it features all the flavor found in our other scrumptious sirloins. 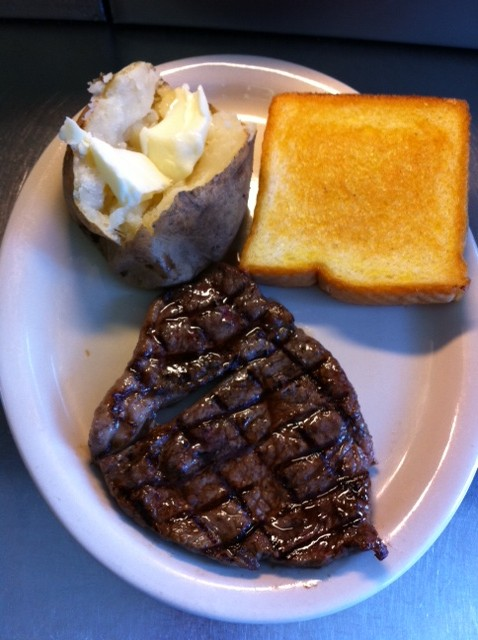 Served with your choice of steak fries or baked potato, salad & texas toast.